He was born May 30, 1943, in Lewis County, a son of the late Theodore and Lorene Flinders Stevenson. Warnie was a bridge construction worker and loved working on cars. He excelled as a pool player and enjoyed singing and playing the guitar. Warnie also liked doing wood working and spending time with his grandchildren. In addition to his parents, he was preceded in death by one son, Anthony Stevenson; two grandsons, Austin Stevenson and Dylan Stevenson; two brothers, Alan Stevenson and Donnie Stevenson; and two sisters, Betty Parker and Wanda Lewis. Warnie is survived by his wife of 34 years, Debra James Stevenson; one son, Zachary Stevenson of Tollesboro; two daughters, Katie Halterman of Portsmouth, Ohio, and Mimi Hamilton of Tollesboro; eight grandchildren, Cody Stevenson, Vanessa and Clayton Hutson, Janna Robinson, Atticus Robinson, Eden Hamilton, Isaiah Hamilton, Breanna Stevenson, and Cayden Stevenson; and one sister and brother-in-law, Judy and Jim Walters of Circleville, Ohio. He also leaves many other family members and friends who will sadly miss him. A memorial service will be at 7 p.m. Monday, February 1, 2016, at Dickerson Funeral Home in Vanceburg with family and friends speaking. 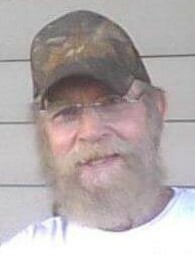 Friends may visit from 6:00 p.m. until 7:00 p.m. Monday, February 1, 2016, at Dickerson Funeral Home, 110 West Second Street, Vanceburg, Kentucky 41179.